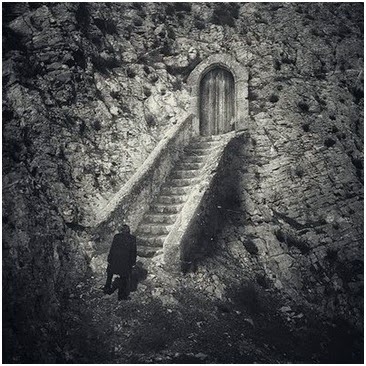 The entrance to the Daltosarian Tomb, the burial ground of the old Crusader Krigon who fell in battle during the reign of the Kaziaak, Empress of Radamanthos. Humanity rules over a great continent, driven by the ancient Dragon Empire of Radamanthos. Radamanthos is ruled by the Emperor Sonn’Khuul himself, a near immortal personage who seems to be almost an Elder Lord unto himself by some, for Sonn’Khuul is nearly a century old but does not look a day over forty. His near-immortalty is ascribed to a folk legend about his early days as a knight-prince in service to his father, when he journeyed to the Feywild and drank the ambrosia of the gods with Tiraenis herself. This imbued him with unnaturally long and healthy life as well as making him stronger and wiser than most men. His unchallenged rule has served well for a century now, though many forget that the first fifty years of the empire was won through blood and tears. 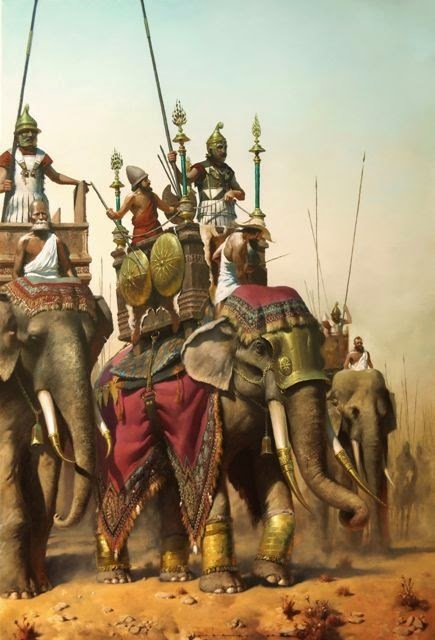 When the Army of the Burning Sun threw its lot in with Radamanthos everything changed, and the empire consumed all of the kingdoms around it until it was a vast, monolithic empire containing all civilized lands save for the reclusive Hiramash of the empty lands, and the barbarian kingdoms of Sudirak and Ghoval. Radamanthos encompasses a region that was once the dominion of over a dozen separate kingdoms, and it was like this for centuries; over the last three centuries these kingdoms have been gradually conquered and assimilated, with the last four falling under the reign of Sonn’Khuul. The world today is a great empire with fifteen provinces defining the old kingdoms. The kingdoms, now client states, still operate largely independent in their own regions, but answer to regional governors appointed by the emperor who utilize one each of the fifteen divisions of the Imperial Army to enforce their rule. World’s End – the city of the machine culture, edge of the world and dominion of The Shadow. The Master Chief Collection is going to compile all four Halo titles featuring Spartan John 117, alias Master Chief. To date Halo 2 has been the rogue title, not updated for more contemporary consoles unlike the original Halo. Now...we've got the anniversary edition coming up, and 343 Studios unveiled a trailer for the Halo 2 revamp...and what a trailer! If these are all from the new in-game cut scenes (and it looks to me like they are) they really went out of their way to spice Halo 2 up. Impressive stuff....makes me that much more keen on seeing if the same quality of effects go into the forthcoming Halo: Night Fall TV series. The legendary Moon Pools are said to have been created during the Exodus when the enlightened of Hiramash shed their mortal coils and became Astral Travelers. The pools induce visions and dreams of prophetic nature on certain nights. The Elder Lords are not the only icons of the world who pull the strings of power. The Orc Queen Saerithica seeks the power of the demon gods to make her people rulers of the world. The Dragons scheme amongst themselves in the Conclave ruled by The Three, Emperor Sonn’Khuul terrifies the land with his might as the ruler of men, while in the Deep Woods the High Druid Zadamas dwells, destroying any who would encroach on his land. Last but not least, The Priestess Adartha, chosen of the gods, dwells in the high temple at the Capitol of the empire, Bastion. There are a handful of gods still worshipped in the world, but they are remote and feared by most; the truth is, at one time there was a great and ancient pantheon of deities, but the first Elder Lords rose to power and shattered the grip of power the gods held on the mortal plane by seizing control of a cosmic artifact known as the Crown of Infinity. 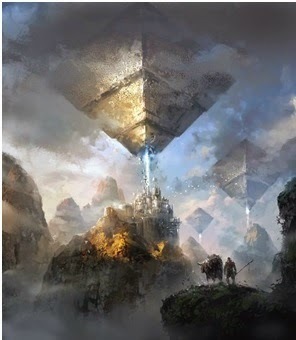 Ownership of the crown not only barred the gods from the plane of man but also allowed the Elder Lords to forge the Planes from the astral essence. However the crown proved too powerful, and it tore the Elder Lords of the mythic age apart. It would be three thousand years before the Elder Lords recovered the crown, hidden in the Planes forged in the Mythic Age, and again it led to a civil war amongst the powerful near-immortals of the world. These Elder Lords suffered greatly in their competition for power, but it was the sorcerer king Hathakor, the great Lich Obsidaros and the Fay Queen Tiriaenis of that era who saw fit to dispel the Crown of Infinity to a tomb buried so deep that it could never be found again…or so they hoped. This was a thousand years ago. The Crown of Infinity remains a potent force even today, buried in the deeps of the earth. The Drow, even eager for power still seek out the Crown, searching the depths with their vast armies of darkness. Meanwhile, the Elder Lords officially stand resolute in the ages-old agreement that the Crown must remain out of their hands, even as they privately scheme to find its magically hidden location. The Crown itself continues to influence the world around it, despite being hidden away. 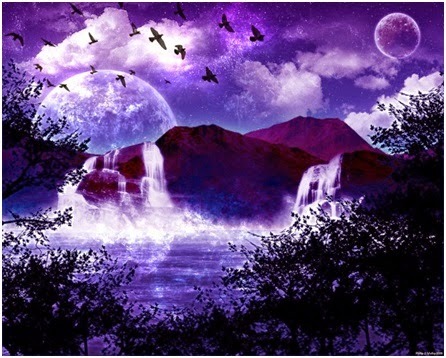 The Crown is a fountain of eternal creation, and it endlessly sends out waves of energy that create ripples in the Planes, at the tenebrous gaps in reality where such emanations spill over into the Mortal Plane. Unknown to the Elder Lords (though suspected by some) the Crown continues to create new realms of existence out of whole cloth. It should not be “directed” to do so but somehow it is….as if there is some guiding force of will pushing the artifact to form new realms and beings. Who exactly is influencing the Crown is a mystery. The gods persevere in their remote divine kingdoms, a part of the planar realms. Still, they all share a great desire to return to the mortal plane and affect the world directly, and create minions, send messages to oracles and prophets, imbue mortals with divine power and otherwise seek to influence the world to do their bidding. The greatest goal of all would be the destruction of their enemies, the Elder Lords, and the restoration of the Crown of Infinity to its rightful place at the height of the Temple of Datares on Mount Dol. Helion, the Burning Light – the ever-burning flame of the sun is the nemesis of the Blight and the bringer of goodness, fortune, leadership and plenty. Helion is depicted as a warrior in most iconography, but his priests explain that he is the embodiment of light and flame, and no man may look upon him and live. Males, the Blight – the power of darkness and corruption incarnate. Still called upon for divination and power by the Crusader and the Diabolist (and occasionally by the Lich King) the Blight is the essence of evil and corruption in the world. The Blight’s armies of darkness, the demons, exist on the fringe of the Planes, ever ready to escape into the Mortal realm to sew destruction. Thanos is depicted as a great mass of skeletons forming an immense, terrifying giant. Tenebrae, the Shadow – Lurking in darkness the creatures spawned of Shadow will always feel a connection to this goddess, who dwell only where Helion cannot penetrate. She is an aspect of the feminine, of power in darkness, the mysteries of the Moon, deception and all things of the night. Moraeos, the Dead – the god of the dead has been around since before the light itself, some stories say. It was the burning power of light that chased the dead things away and forces the darkness of Tenebrae to retreat, allowing life to blossom. The dead lurk in the earth and the dark corners of the world, an ever vile presence seeking a way of escaping the realm of Moraeos to feed upon the life force of the living. Moraeos is enigmatic, his designs inscrutable, but the Lich King holds counsel regularly with this dread god, seeking to understand his power over death and siphoning off a portion of that power for his own purposes. Viridiae, the Green – The goddess of the living, she sprung up in the wake of the manifestation of Helion out of the eternal darkness. Where his light fell upon the earth the shadow and death disappeared and life sprang anew. Viridiae is the goddess of the living world, and is sometimes simply known as The Green. Despite her aspect as life-bringer, she is also a dark nature goddess, for her bind is firmly rooted between the light of the sun above and the tendrils of death below; so it is that she is representative of the bridge between the two forces. Somniae, the Dreaming – the god of sleep and the realm of dreams is perhaps the only one who seems to retain a close tether to the Mortal Plane, for all mortals seem capable of accessing fragments of this realm and communing with its god, though for most the experience is fragmentary and easily forgotten. Stories tell of how the waking world and the plane of dreams were once two parts of the same coin of experience, and that to sleep was as profound an experience as to be awake….but the severing of the gods changed all that. I actually took the day off to pick up and enjoy my new Xbox One Sunset Overdrive Edition, which is a fancy way of saying the white console version of the Xbone. So far I've been enjoying my PS4 while waiting for the Xbox One to install games. It's a long, slow process, even with it cabled right in to the router. Sunset Overdrive comes as a downloadable code, so I have a sneaking suspicion it will be late tonight before I get to play. I've got Forza Horizon 2's disk in the machine now and it's installing at about just a bit over 1% per minute. Oh! It's beeping at me....Forza is ready to play with 14% downloaded. Joy....! Anyway, I've got Forza Horizon 2, Lords of the Fallen, Sunset Overdrive, D4, Dead Rising 3 Apocalypse Edition and Project Spark to explore today. More later......! UPDATE: It took many hours to reach the 21% mark on Sunset Overdrive, but now it says it's playable with 80% to go....dare I tempt fate? The Xbone can't download while its installing disc-based games, and alas I had many disc-based games to feed into its maw. Such is life for this generation of consoles. Vator Kairn walks his caravan among the Sky Pyramids of Ancient Serano’Dehan, the fabled city of the Ancients. The Army of the Burning Sun: the wandering mercenary army of the Warlord Damedan; a sight to behold, currently in the employ of the Empire, but just as quick to turn on it should the emperor fail to pay their wages. There are eight powerful entities, immortals who were once mere men and other beings that seized the power of the gods in an early era, trapping for their own use and making their lineages permanently immortal. These Elder Lords are the secret power behind the world of Kadamar, manipulating all of mankind, elvenkind and the other races toward their ultimate goals and desires. The Elder Lords are mistakenly believed by many to be eternal as well as immortal; this is not so. The families of each original Elder Lord gained immortality granted by their acquisition of power, and they have a succession over the generations. The immortals cannot die of age or disease, but they cannot escape doom by sword or spell. As such each immortal clan has chosen to sequester themselves away, to forge a strong power base and insure that they are insulated from the rest of the world to guarantee their immortality. Moreover, the families of each lineage are not in and of themselves immortal; only when an Elder Lord dies does his immortal power pass on to his next worthy descendant. In families of great evil and chaos such as Damedan’s army or Meridiae’s vile court this means that death by assassination is almost routine. Cindros himself as a lord of assassins often conducts these murders, though he remains resistant to his own assassination by way of powerful defensive spells. Hathakor, the Sorcerer King (Archmage) - Hathakor is the latest in a long line of ancient royal sorcerers, though he currently rules a no-man’s land in the dominion of The Empty Lands, where his ancient empire of Hiramash once existed. Today Hiramash is a paltry handful of ancient near-immortal nobles who cull slaves from neighboring lands while defending themselves by reputation as great ancient sorcerers. Hathakor himself is reclusive and too busy seeking the mysteries of the planar realms to worry about the decline of his ancient people. Obsidaros, the Great Lich (Lich King) - Of all the Elder Lords only one has escaped death and held on to his power unchallenged for four thousand years: Obsidaros, the lich lord, was dead when he joined the ancient pact, and he remains dead now. His obsession with immortality began long ago, and paid out in spades. Rumors are that his ancestors suffered for his power lust, and that he must always insure his descendant from when he was still living continue to prosper, for he must once in a generation find a suitable host body to feed upon and subsume his vile soul into. Obsidaros dwells somewhere deep in the north, where the Ghoval barbarians fear his armies of undead. Tiriaenis, the Seelie Queen (Elf Queen) – dwelling deep in the Feywild, Tiraenis holds the ancestral name of her title as the seelie queen though she is the latest in a long line of elves descended from her ancient Elder Lord ancestor. Tiriaenis has ruled for over a thousand years now, and struggles with war against Meridiae and the Unseelie. Meridiae, the Unseelie Queen (The Diabolist) – the other side of the coin that is the Feywild, Meridiae is the dark elf mistress who bows before the power of Penumbrae even as she steals the divinity of the shadow goddess for her own. Progos, the Mountain King (Dwarf King) – Progos is the latest in a long line of ancient dwarven kings, and longest-lived by far of his many immortal ancestors. All dwarven kings to date have fallen in battle, for it is believed that the destiny of each dwarf if to fall defending the Underrealm, the vast kingdom of dwarven citadels that stand against the darkness of Males and Moriae. There is a belief that only Progos and his descendants know the true location of the Crown of Infinity. 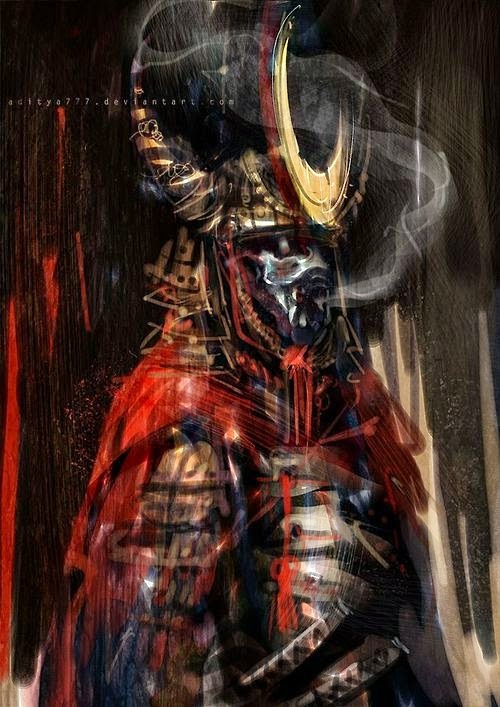 Damedan, the Warlord (The Crusader) – Damedan is the descendant of a fierce line of immortal generals who trace their ancestry back to the rise of the Elder Lords. Damedan rules his Army of the Burning Sun, and is arguably the most influential force in politics for it is said that whomever has the Army of the Burning Sun on their side will win. There is a rumor that the lineage of Damedan was founded by the first Warlord, who was a demigod son of Helion himself. 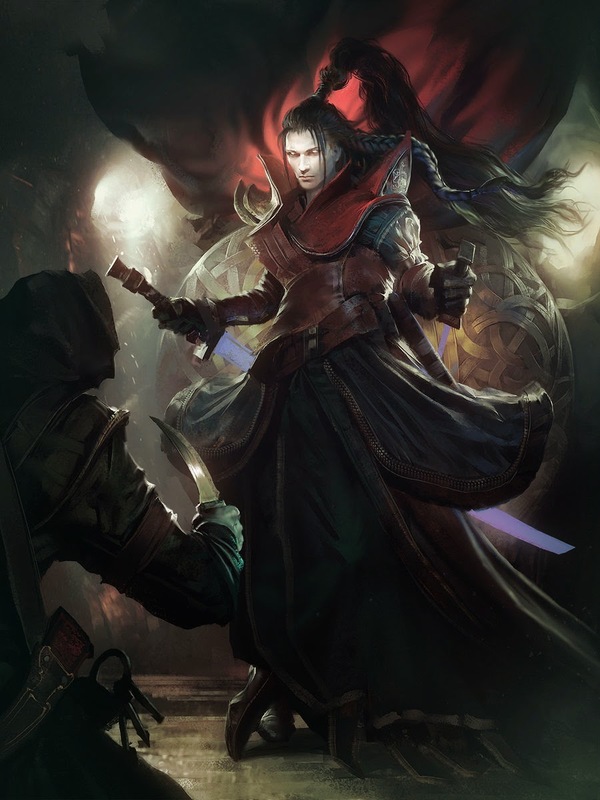 Cindros, The Burning Blade (The Lord of Shadows) – the lord of assassins and seeker of knowledge, Cindros is reviled by the other Elder Lords, for it is believed that Cindros has been responsible for the deaths of disagreeable Elder Lords in the past. 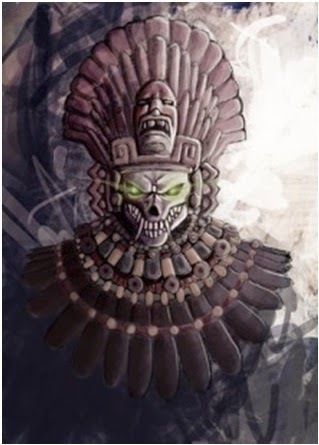 Cindros is second longest-lived next to Obsidaros, believed to have survived in some manner for nearly three thousand years now after discovering a means of escaping even murder through a spell of transmigration which allows his spirit to occupy the body of his slayer. This has made him all but invincible in the eyes of some, and his fellow Elder Lords consider him the most dangerous of their own kind. Yes, I admit I'm posting videos at the end of the week instead of making an effort....work stayed busier than I expected and my son has been monopolizing my evenings, so not much time to do as many blogs as I'd planned. I have lots of content....lots and lots from my 5E campaigns....but no time to polish it for posting. Still, the newly released Halo: Nightfall video deserves attention. Nighfall is out, and it looks good. Very interested to see what the covenant CGI looks like (if they figure out how to do it as something other than CGI I'll be amazed). There's a lot in the Halo universe to explore, and Nightfall may do well as a result. * The fact that my Xbox One preorder for the Sunset Overdrive edition white console arrives next week, in time for my preorder of the Master Chief Collection Nov. 11th....oh yes, I probably should add in my blog byline "incurable Halo fanboy," did I mention? *contrary to some opinions, Halo does have a lot of story going on, when you take all its avenues (fiction, comics, games) as a whole. I like this trailer because its a bit hard to piece together what the story's going to be, or how it will all fit together. We know this much: lots of Ultron, probably a Stark experiment gone horribly wrong, signs of Quicksilver and Scarlet Witch, a traumatized Banner, and lots more. Oh, and the Hulkbuster suit shows up, too....fascinating! 1. Magic Resistance does all it says it does, plus any spell that acts on the creature but does not require a saving throw normally (i.e. magic missile) now requires a saving throw based on the caster's magic DC to work (with accompanying advantage for the creature, of course). 2. Any spell which does not specifically have to target the creature or is environment does not provoke magic resistance (i.e. Entanglement, which RAW would normally do so, and Silence, which can target the area instead). 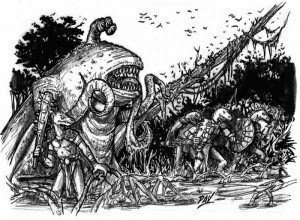 In my recent post on defining the OSR I got some feedback from various people, including Tim Newman who suggested that my definition might be too broad, and that defining it in terms of early versions of and imitators of early D&D is the tightest approach to the concept. My first reaction was of course, "that's not right," because of course I am one of many gamers who defined their experience in the 80's by games other than just D&D. However, the truth of the matter is...as I also pointed out, most of those games which still have surviving communities are still alive today, usually in forms quite similar to their original incarnations. Playing Call of Cthulhu or Runequest today is not far removed from how it was done in the early 80's. Playing T&T today is exactly the same as it was back then, or even in the 70's (we'll see how that holds up when the Deluxe edition arrives, though). Even GURPS, in it's 4th incarnation, would still be recognizable to a 1st edition GURPS player, albeit more organized and thorough. It took Hero System until 6th edition to slay even a few sacred cows, but nothing that would otherwise invalidate material from the original Champions. So.....I guess what I'm saying is that in thinking about it, maybe the OSR movement as a definable thing today really is about what happened with D&D's identiy crisis in the 00's, and the effort of fans to get some version of the original (or close to it) back....and that defining the OSR as anything other than the "Old School D&D Revolution" really is muddying the waters. From that perspective, it means maybe I'm not that old school, since I don't currently play any iteration of classic D&D or retroclone. When I want my SF I'll play actual Traveller, not Stars Without Number. When I play D&D I'll grab 5th edition because it works for what I want out of the game now. When I want practically any other genre of game I go for Basic Role Playing, Savage Worlds or GURPS.....and that's okay. These games have all kept good communities and remained active even in the face of the changing hobby. So, I'll give you this: maybe the OSR really is defined by D&D and its retroclones, and that's okay, because perhaps they really did need to rebuild the community that had been lost by three editions of churn and change. Add this post to the rocket ship to the sun. Thank yew! (Side note: despite Tim suggesting it could, I think FATE is fundamentally divergent from any old school play style. Nobody, anywhere, was playing games FATE-style in the 70's and most of the 80's that I was aware of, and the very groundwork for FATE-like systems didn't even manifest until the 90's, with the nascent manifestation of FUDGE. FATE is so weird to classic gaming styles that it requires a very fundamental leap of faith to even grab on to it's intent and style, something I've tried and failed to do, despite putting a great deal of interest into learning how to do it. I'm not saying anything bad about FATE....but I am saying I think it's a very good delineator between old school styles and a new school of game design and play, something which emerged out of what came before but which is decidedly it's own thing. Sure you can apparently use FATE to play a hexcrawl, but that doesn't mean that the way that FATE-powered hexcrawl plays out will feel or look anything even remotely like an OD&D or T&T version of the same. I gotta draw a line in the sand somewhere!). Naught was born under peculiar circumstances, a homunculi body forged into the form of a minotaur by the Lich Malenkin and later liberated from the Lich's tower by a group of errant adventurers who had no place poking their nose into his affairs. Naught was forged into his form of a minotaur and so has no understanding of their culture, their ways or even their language and mannerisms; he is a tabula rasa of sorts, learning about the world as he travels along. So far Naught, who took the name to reflect that he was neither a minotaur nor a homunculi any longer, has spent some time studying sword and spell under the adventurers who liberated him. They have been perplexed by his hesitance to fight, though it eventually became clear that Naught's problem stemmed from the innate fear that the homunculi feel at being around any truly living things. Because of his odd upbringing as a mad lich's experiment, Naught's time in the tower taught him core survival skills (rogue). His subsequent time with his liberators has introduced him to the more martial skills, with some dabbling in magic. However, their training has focused entirely on fighting with a single long sword and some minor magic. This has led Naught to favor a duelist's style, which is unusual for his race. 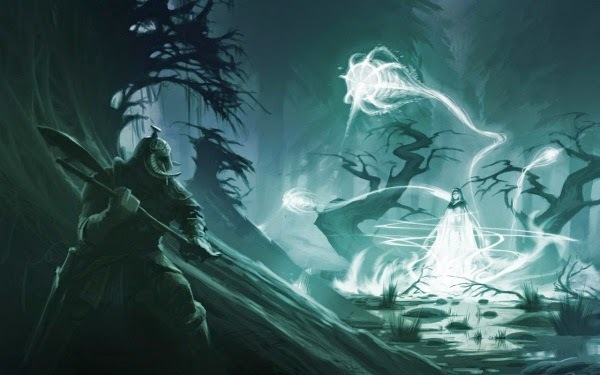 Background - Wizard's Experiment Traits: Odd familiarity: once per long rest naught can apply advantage to an untrained Arcana check on something magical, be it an item, piece or lore, or odd fact. Armor: Naught wears only a loose tunic and leather harness. He favors his natural armor (AC 14) and dexterity. Duelist and Gore: for purposes of Duelist I am interpreting it literally that a duelist must be wielding a one-handed weapon to get the bonus, and gore does not qualify for it. Design Notes: Naught is an ongoing NPC in my Saturday game. His development is based on what he's exposed to in the course of play, ergo his rogue, then fighter-duelist choices. His Champion option is based on expedience; it's much easier to adjudicate a champion fighter in play which requires none of the extra work of the other fighter archetypes. Likewise, his magic initiate feats, while based on what was taught to him, reflect a combination of what Naught could learn and what he would personally find useful; Naught is indeed "not" a real minotaur in many ways, so his spells reflect the interests of a being that began as a tiny homunculus and was eventually forged for sadistic amusement by the lich Malenkin into a giant of a being with no understanding of its own heritage. Naught really, really wants to learn what it means to be a real minotaur....but he still has yet to meet a live one! Okay, it's back to D&D this week! I'm working up different interesting items for the next few blogs in celebration of my work schedule calming down a bit, leaving me with a moment or two to actually think of things not work related. So....first up, a race important to all four of my core campaign worlds....minotaurs! The core Monster Manual minotaur translates into a playable character rather easily, with the caveat that recklessness and charge make it a formidable fighter. 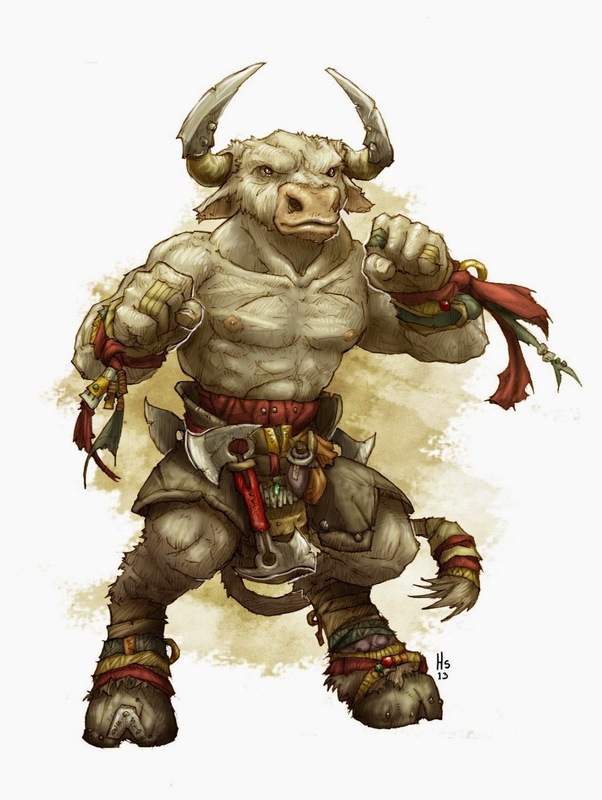 Ability Score Increase: Minotaurs start with a +2 Strength and can actually increase their Strength to 22 with ability score increases by level at the DM's discretion (for a total Strength mod of +6). Minotaurs also gain a +1 modifier to your choice of Wisdom or Constitution. Optional Ability Score Limits: DMs can optionally limit minotaurs to a maximum of 15 Intelligence. If you choose this option, the let the minotaur have the increased Strength option as well. Age: though it may vary by world, most minotaurs reach puberty by 10 and are fully mature by 15. Minotaurs live 40-60 years depending on how hard a life they have been subjected to. Alignment: in a world where minotaurs are the spawn of some beast cult, demon or chaos god they will tend to be chaotic and evil. 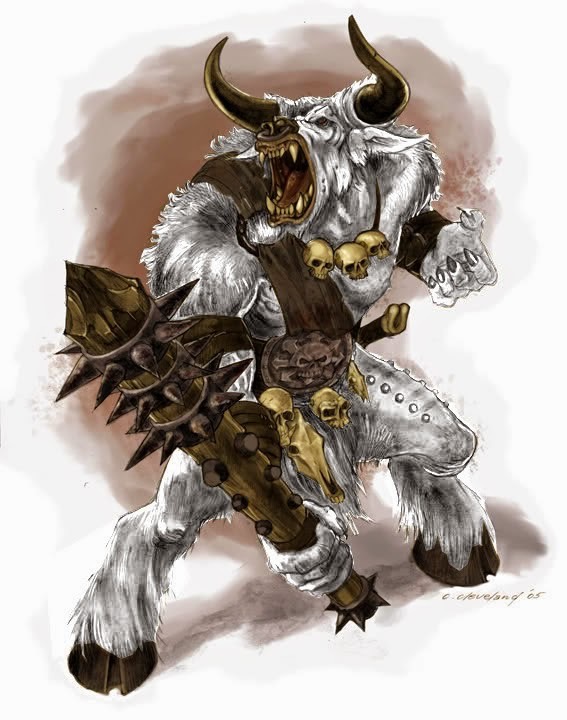 In worlds where minotaurs are a more conventional anthropomorphic race they may lean toward chaos but be equally common as good, neutral or evil beings. Size: Minotaurs range from the high end of medium (8 feet tall) to the middle range of large (10-12 feet tall). 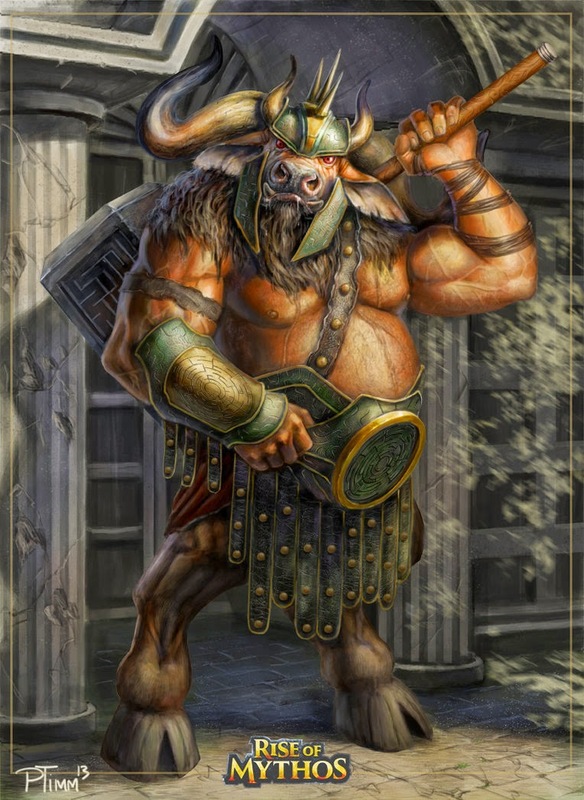 Decide on your size at character creation based on setting; default minotaurs are large creatures. Speed: minotaurs move quickly with a base speed of 40 feet. Darkvision: minotaurs have darkvision 60 feet. Charge: a minotaur can engage in a charge attack if they are able to move straight toward the target for at least 10 feet first. If the minotaur strikes with a gore attack it adds 2D8 to the damage and the target must make a save equal to DC 10+the minotaur's Strength modifier or be tossed up ten feet away and knocked prone. Maze Sense: a minotaur has perfect recall of any maze it move through and gains advantage on any wisdom check to determine direction or recall the correct path to a place it has previously visited. Reckless: A minotaur can choose to gain advantage on all attack rolls during its turn but all attacks against it also gain advantage as well. This last until the start of its next turn. Gore Attack: a minotaur's natural gore attack deals 2D8+strength modifier damage on a strike. Minotaurs are always proficient in this attack. Natural Armor: a minotaur's skin provides AC 14 protection. 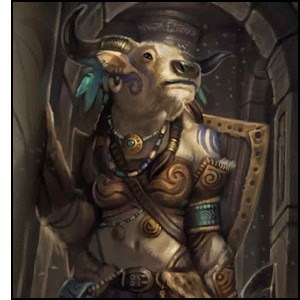 This does not stack with other armor, so when wearing armor of different types the minotaur uses either the AC 14 or the AC of the armor worn, whichever is greater. Dex will apply to the natural armor without limit. Racial Affinity: Minotaurs are always proficient in the great axe. Languages: default minotaurs speak Abyssal, but a player character minotaur starts with the common tongue and one other; those worlds where minotaurs are not spawned of Baphomet or simialr entities may speak giantish or some other language, even their own minotaur dialect, instead. Suicide Squad in 2016 - holy cow, this one has me excited. I have been reading Suicide Squad in all of its incarnations since a very large Amanda Waller was first introduced in the late 80's. Wonder Woman in 2017 - starring Gal Gadot, of whom I know nothing. Justice League part I in 2017 and part II in 2019. Honestly this is the most interesting of the movie plans, because I've always been of the opinion that the core DC characters are most interesting when they are brought together. Of all the core (Wonder Woman, Aquaman, Flash, Green Lantern, Superman and Batman) I find only Batman to really be worth reading in his own titles, probably because the menagerie of iconic DC Heroes are all rather exotic and high-powered individuals, while Batman is just a very driven guy with All the Money. Wait...I forgot Green Arrow, who I also follow for much the same reason (his comic got better once it changed hands late last year, BTW). The Flash in 2018 - I hope this ties into the TV series, which I haven't seen yet, but I'd expect that if they want to outdo Marvel then they need to make sure the continuity is cross-platform, so to speak. Aquaman in 2018 - so the Flash will already be introduced via TV series in time for the 2017 Justice League film, but will Aquaman make an appearance there? Marvel's method of having key side characters who don't get movies but show up in other films (Hawkeye, Falcon, Nick Fury and Black Widow so far) has worked well for them, and honestly while I can see how Aquaman has movie potential, his legacy as a difficult character to actually portray properly in both film and cartoons makes me wonder if this movie will have any hope at all. I predict it will suffer the same problem Fantastic Four continually experience with every effort at big-screen adaptation. Some comic characters just aren't meant to smash through the fourth wall into film. Shazam in 2019 - formerly known as Captain Marvel for those who care. I can see this one being a fun movie, Shazam has enough unique elements that if done right (and see the recent side-series from Justice League now collected in in its own TPB for an example of how to update the character to modern times properly) could make for a great movie. Cyborg in 2020 - Cyborg is currently mostly a Justice League character, which is cool, despite the fact that I grew up thinking of him as a Teen Titan. If they can keep his current New 52 origin as a byproduct of an invasion from Apokalypse I will be pleased. 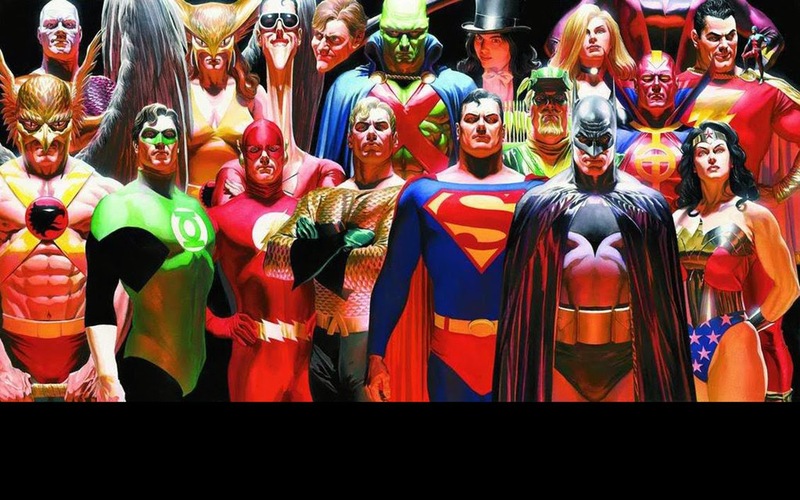 Green Lantern in 2020 - so the question here is, are they setting this far enough out to reboot the Green Lantern in hopes people have forgotten the old movie by then, or will they try for a "ignore the old movie but don't specifically violate it's existence" approach like Marvel did with the first and second Hulk films? I'm hoping for the latter, because we don't need them to spend more than five minutes retelling the Green Lantern origin tale, but we do need them working in some of the amazing stuff done with the character and GL-verse side of the New 52 into this future movie. Notably absent from this list: a new Batman or Superman film. Not sure what that means....I personally think that we could use a full Batman reboot; I want a Batman for this cinematic DC Universe that bears a closer resemblance to the one in the current comics. Superman I'll reserve judgement on until I see what they do in the upcoming Batman vs. Superman, because I still need to watch Man of Steel. I admit, I am kind of a fan of the character, or at least what I've seen of his New 52 reworking so far, but I've never been into Superman enough to have much of an opinion one way or another. No word on whether del Toro's Justice League Dark is still in consideration, unfortunately. Okay, now for the long and arduous wait for all these movies to appear! 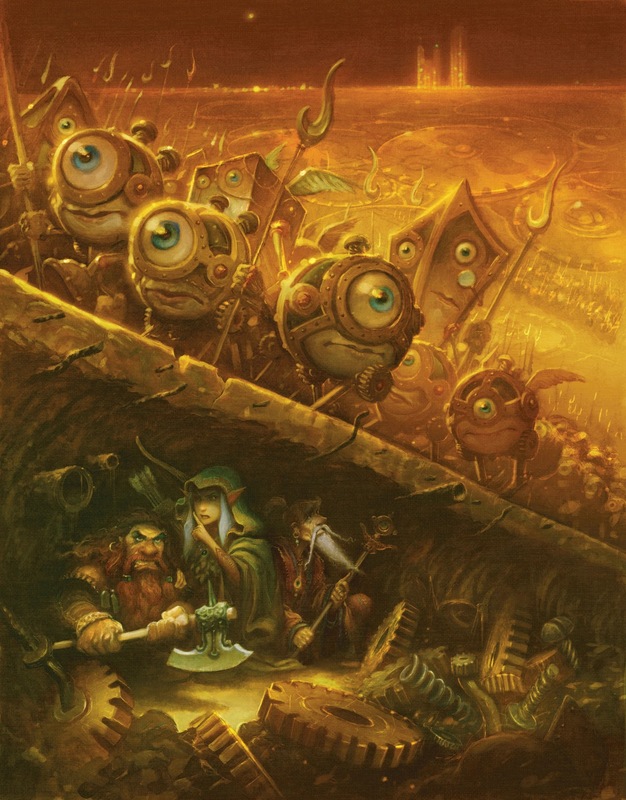 I think the OSR community is best defined as a group of people with a common interest in the style and methodology of role-playing games exhibited in the formative years of the hobby. It covers a lot more than D&D in this sense (I am a big fan of Chaosium systems such as Call of Cthulhu and Runequest, for example, both of which are archetypal examples of OSR gaming from back in the day). I think attempts to define the OSR in the context of game design fail because there was no consistency in design back in the day, either; but there definitely was --and is-- a community that appreciates the "feel" of that era and replicates it with contemporary retroclones and new systems (edit: as well as the original games). About the only certainty I can say is that game systems and styles which focus on more progressive mechanics such as FATE are definitely not typical of the OSR methodology, chiefly because these more story-based/collaborative systems did not exist in any form back in the seventies and early eighties. I think the only way to define the OSR is for EVERYONE to write down their short definition of the OSR, then someone like Dyverse collates it somewhere forevermore and fires a print copy into the Sun. Then and only then can the topic rest easy, for the Sun is the OSR definition's only weakness, unless you also happen to have a +5 vorpal long sword. That'll work too. Keep in mind that one guy did Fortress just for the hell of it (okay, his love of CGI). I don't know about the serpent-wraith-lady, but that rakshasa is full of awesome. The come hither pixie lass with her favorite skull is a bit concerning though! This crept up rather innocuously on rpgnow.com (and its other drivethrurpg site). Rite Publishing has done a lot of stuff for Pathfinder over the last few years, most of it good or notable as 3PP resources go. This foray into the 13th Age is no exception, and actually the first really cool 3PP resources I've stumbled across that's worth a review and mention. 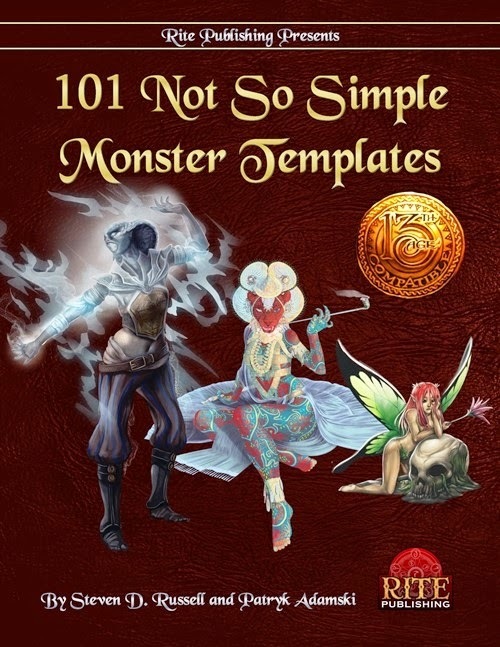 101 Not So Simple Monster Templates provides exactly what it indicates: one hundred and one templates you can overlay on existing 13th Age creatures. The templates follow the standard set in the 13th Age core rules, which is basically additional features or modifications that enhance or change the existing creature (so, standard D20 system stuff). Unlike some of the existing monster templates in the game, these offer a really wide range of the strange and familiar all at once. Want a kyton-bound minotaur? Here you go. Are you determined to stat out that homeless, legless beggar? Add the legless template. Eager to take out your party with an exploding manticore? Add the Pyrrhic template. There's some good stuff here. All of these templates are concise and too the point, except for the ones that are really complicated or offer a lot of specific detail such as the winterwight, walking fortress, grim reaper or bloodshackle templates. Some of the templates add in some "D&Disms" to 13th Age currently absent or under-represented. If you've been missing crypt things in your game, you can make all sorts of them with the appropriate template. The aforementioned kyton-bound, constructed, divine, phase, and others will fill in needed gaps. All of the templates offer definitely flavor and make for interesting and distinct creatures....for the right mix of encounter stew, naturally. A few could be the basis of entire plot lines (I'm thinking a kyton-bound template would open up all sorts of interesting denizen concepts for a visit to the City of Chains, for example). Rite Designs has a sample on their blog if you'd like to see a bit for free. !!RENEGADE!! from michael cavanaugh on Vimeo. 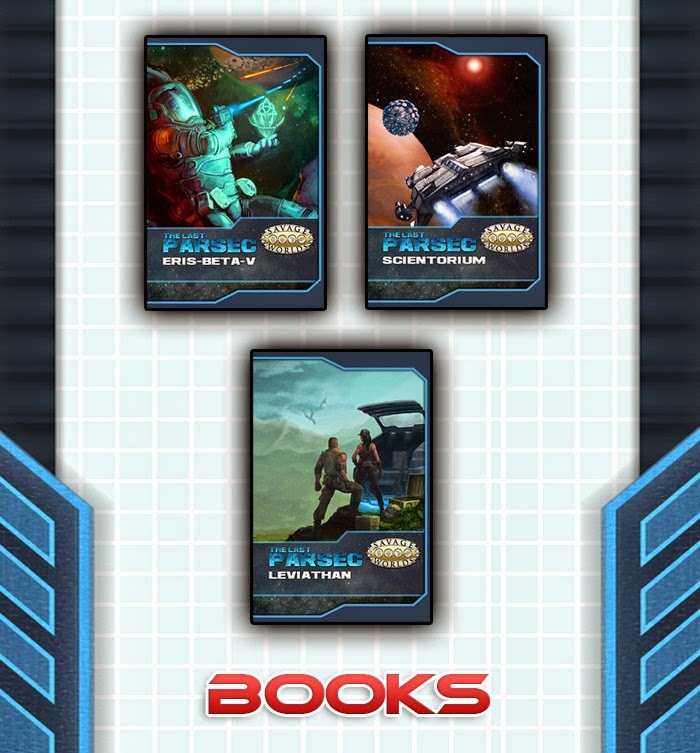 Pinnacle is doing a Kickstarter of note in the form of The Last Parsec, a setting for Savage Worlds Sci Fi. 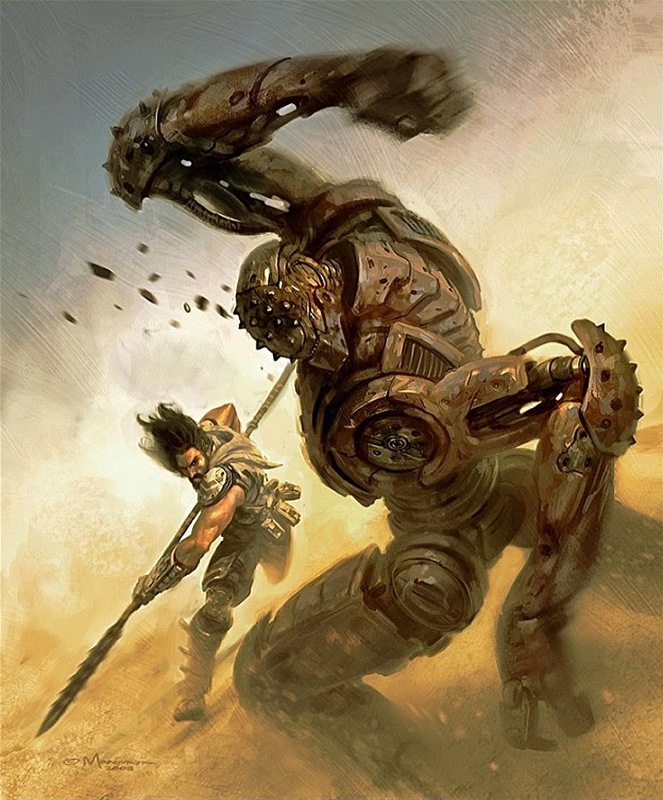 As many of you may recall I am rather fond of the new Savage World Science Fiction Companion (see Savage Space) so I'm looking forward to what they do with this new universe. Previous Pinnacle Kickstarters seem to have worked out rather well (Weird Wars: Rome, for example) so I think Peginc. is worth it. I have a rule of thumb now that I don't back Kickstarters because frankly I feel bad for all the developers who get deathly ill not long after their Kickstarters complete (my theory is that successful Kickstarters are the leading cause of illness and Ebola in the US), so I won't be backing this one, either; but it's definitely on my "I will buy this when it is available for public purchase" list. Cool news over....KS rant ahead! Pinnacle is not on the list of disease-affected KSers so far as I know; it's more like the handful I have backed have taught me that I do not want to be a backer for any project, ever, simply because I think the entire KS model lacks the sort of oversight a normal agreement with someone putting money down on a product should offer. There's too much cool stuff coming out now for me to throw money down on hypotheticals for the future.....by the time I'm ready to stick some money on The Last Parsec, it will already be out. That's something I can appreciate: here's some money, send me my books. By contrast, if I hadn't backed Legends of Dawn I wouldn't be experiencing the crushing disappointment of a computer game that was poorly designed and badly tested. If I had not backed the T&T Deluxe set I would not be wondering why I haven't seen any of the print products that have been produced and which I ordered as part of my KS pledge but which are still not in my hands (my pledge covered pretty much print copies of everything), despite being sold at Cons and available on Ebay right now. Stuff like that really sours you on the KS process, and that's from a team I trust will deliver. I continue to hold faith in Flying Buffalo and co. that I'll eventually see all the stuff I ordered and the DT&T set, but I wish I wasn't in this position; I'd much rather have waited until the final product was out and ordered it directly from FB instead, it turns out. I'm not a collector, and I don't like being a backer; I'd rather just play a finished product. Now, there is an argument that some of these projects wouldn't be possible without Kickstarter, and I'll grant you that. But Kickstarter really only works for certain types of creators: people who have the good business sense to manage the KS funds properly, and to apportion the necessary time and effort to get the project done; this approach is shockingly uncommon in our tiny corner of the gaming universe. It seems like the most successful RPG KSes are those which use the medium as a preorder venue, rather than as a way to back the project and prop it up from the start. I suspect I could back those with confidence (and I did, with Fantasy Hero), but honestly? I'd rather just do a real pre-order, or buy the finished product. Someone needs to be there at the tail end, sending them money for a job well done; I'll let all the aspiring entrepreneurs chuck their money in at the inception, instead and save my cash for the "reward" at the end. Can a drider spin webs? 4E: they had a sticky web attack by the looks of it. At least, one drider stat block did for sure. 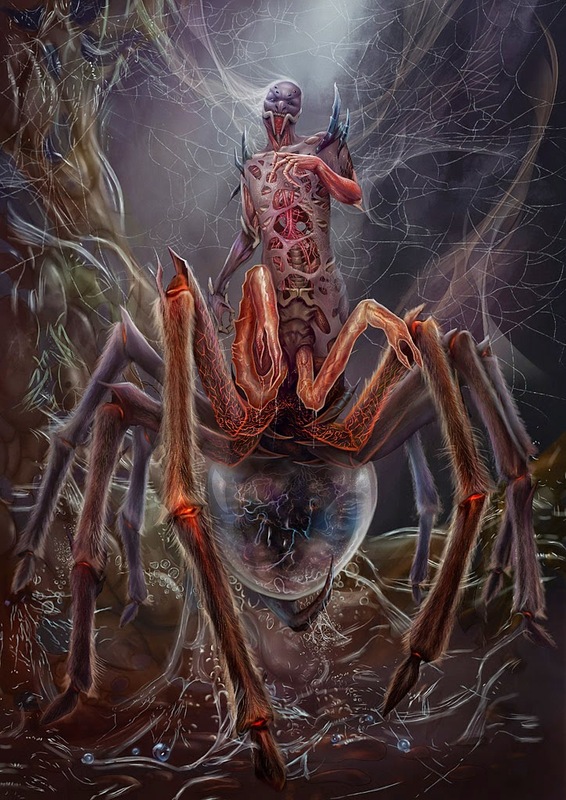 3E: they could cast web if you used the sorcerer spell options, but it was not innate. Pathfinder: They did indeed gain a basic web attack, although in the time-honored tradition of 3.X stat blocks it doesn't define what it does within the actual stat block (but one can infer it requires cutting at it to reduce the HP total). 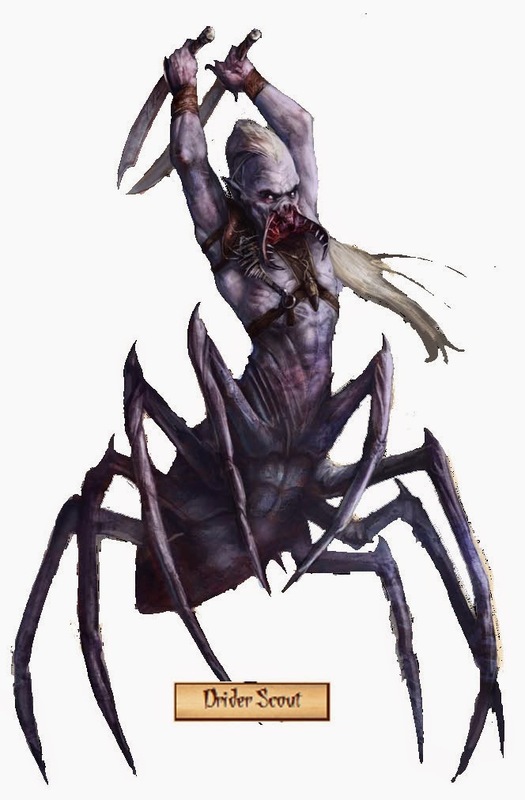 1E: The MMII defines them with the poison bite but again no web attacks, outside of any spells the DM might grant them. 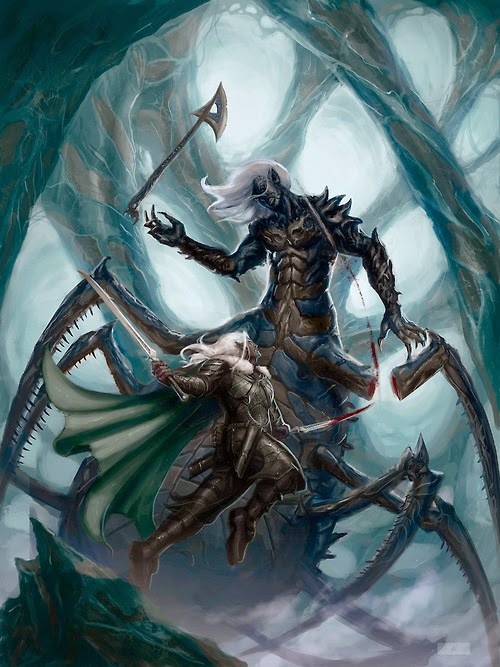 Interesting....I have for 5E at least declared that yes, driders can spin webs, but no, not fast enough to make a difference in direct combat. 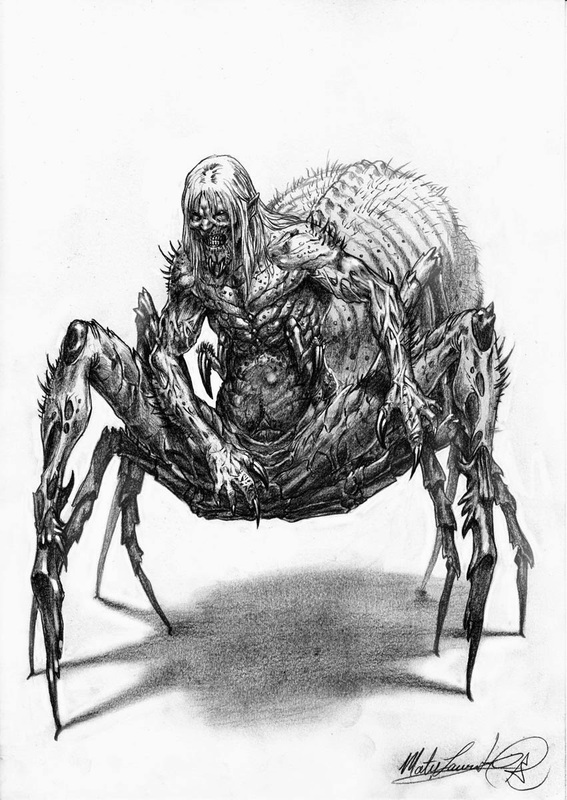 It kind of makes more sense that they retain a paralytic bite (currently their bite only deals additional poison damage) and I rather like the idea that they both paralyze their prey and inject necrotizing poison at the same time. Then they can truss them up in cocoons at their leisure while they wait for the victim to liquefy. It's been weeks....about three or four for Saturday and at least two missed sessions for Wednesday, but at last I was able to make game again. Significant, of course, because if I don't make game then no one games, being the only GM and all (Wednesday has a sub GM but he was busy at the local Balloon Festival in Albuquerque, which coincided with my work "increase" of the last few weeks). Technically it's been about ten and a half months (give or take) since I bought my PS4 but the new holiday season is upon us and it means that we're about to be hit by a slew of new titles in the next two months, even as the first year of games immediately falls out of style and sinks into the digital muck of gaming history. So, what wasn't worth it....and what's worth remembering? I'll look at the shooters this time around....which is most of what came out for the console, anyway. First off, Destiny arrived not long ago and has proved to be a fantastic game, albeit with some caveats. Chief among the "buts" is the fact that it's a game which suffers from an identity crisis, and depending on whether you approach it as a "MMORPG shooter" or a "Halo but with more interesting design parameters" you will likely have two very different takes on the game. I'll tell you this: it's not an MMORPG no matter how much they doll it up; structurally it is much closer to the original Guild Wars, though that doesn't become obvious until a little way in to the game. By this comparison I mean that the game has a hub, where everyone gathers, then it breaks the game up into discreet chunks which may or may not have small groups of cohorts battling it out. What it really does is present a novel way to integrate single player and co-op content into one seamless whole, and that's where the MMORPG element "feels" like it should be, even though it's not quite there. It also apparently makes for a great loot grind at the endgame but I haven't gotten there yet. 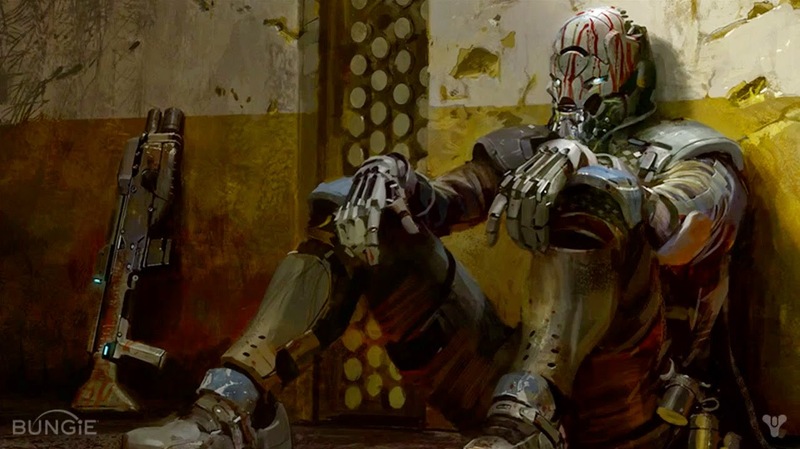 Destiny's only real sin, though, is requiring an online connection when, ultimately, only the "crucible" pvp elements and a few other specific missions (all optional so far) are necessary for that connection. This could have been a long and engaging single player game, and if they'd made it that way they could have invested in giving a more protagonist-focused plot and story to Destiny. As it stands, it exists somewhere in a weird nether: not good enough to rank with MMOs, but definitely superior in structure, mechanics and graphics to all other shooters right now. Destiny, like Titanfall and Defiance, is another stepping stone toward something much cooler in the future; but it's not "that thing" it promised, either. Still expect to be playing it a lot for months to come, though. Criticism of its focus doesn't change the fact that it's fun as hell. The story criticisms would probably feel more damning if it weren't for the fact that Destiny still does more with it story and amazing atmosphere than most other shooters. The criticism about the story is quite amusing, really. Destiny has a strange almost mythic sort of vibe to it; its story will confuse people expecting the usual FPS story garbage (see below for many examples) or it will annoy people who prefer elaborate Bioware/Bethesda titles where everything is revolving in great detail around your character. Destiny is almost poetic in the way it blends story and atmosphere into a strange, eerie experience puncuated by moments of violence. All of the shooters prior to Destiny now suffer a bit by comparison. Of the titles which predate Destiny (Battlefield 4, Call of Duty: Ghosts, Metro Redux, Killzone: Shadow Fall and Wolfenstein) only Killzone Shadow Fall really offers a comparable experience, albeit in a somewhat more limited form. 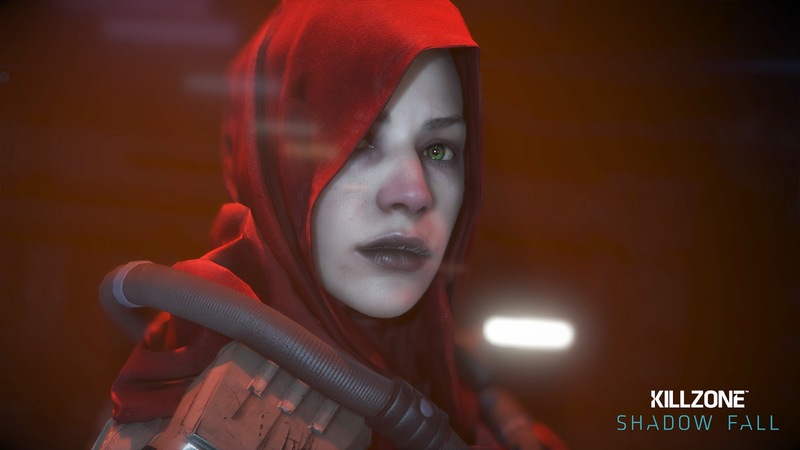 You can do some stuff in K:SF you can't do in any other game, including Destiny.....but the multi-player element of K:SF is still not up to Destiny-level quality, unfortunately. Anyway, I finished Killzone's campaign and was ...I don't know.... I guess impressed at the sheer length of the design credits for the game, more than anything. I wish they'd spent more time figuring out how to convey the story; the game has a story, and you can follow it (and also miss a lot of it if you don't hunt for the game's many hidden collectibles) but I never really felt a connection or even a care for any of the characters** except one, at best a twinge of remorse at the end of chapter nine just before chapter ten started with it's "payback" mode (no spoilers, I promise). The bottom line being: people may criticize Destiny for a shallow or poorly conveyed world and story, but this is not a problem unique to Destiny (hell, I would argue Destiny has the opposite problem by keeping it simple and eloquent....and this confuses many players looking for complex and confusing. K:SF has a decent story but it's told through poorly conceived sequences....it's become an epidemic of shooters in general these days. Developers telling us that the single player campaigns are not necessary (Titanfall, cough) or not the main point of their game (Battlefield 4, blech) are deluding themselves (I hope). I can tell you right now for all the time I've spent in Titanfall (hint: not much) I definitely won't buy a sequel until it hits bargain basement prices. And this is as good a segue as any to talk a moment about Call of Duty: Ghosts. At this point in the CoD universe they moved the storyline to the future, quite a ways, and the story itself is almost transparently evident as a series of strings tying one location to another. The reason and purpose for the action of your protagonist is tightly defined in a formula that is so wrote now that you can pretty much tick off by the numbers what will happen, perhaps even when. So we get Roarke as the charismatic bad guy over Makarov. We have the driven cohort who spurs us on, the Big Bad Evil Empire which in this case is the South American Federation, and we have lots of places where things happen, each more impressive in scope and madness than the last. And it's damned playable, even if the plot comes right from the scribblings of a Tom Clancy fanfic forum. But....it's gotten too old, too predictable. The end of Ghosts' campaign was a paint-by-numbers in which I knew what was going to happen scene by scene, even as I still conceded I wasn't entirely clear on what the hell the plot was, or why Roarke turned evil-bad. In fact try to play this game keeping in mind that the Federation is basically South America at large....and tell me if you could have guessed that. They discreetly cut down on the extraneous chatter (I didn't hear a lot of Spanish or Portugese being spoken, for example), and no behind-the-scenes major villain ever surfaced, which was weird; usually they're better at this stuff....it would have helped explain Roarke's existence if a more shockingly evil supervillain were behind his "conversion." And the end: without spoiling it, I'll just state that I really wish they had let these characters alone in the end, because knowing they set it all up for a Ghosts II sequel is not selling the franchise's future to me anymore. I'm very forgiving of the CoD fanchise, but Ghosts is pushing me to think twice. Luckily Advanced Warfare does not appear to be in the same universe.....but it does suffer from what I call "Crysis but without any weird SF vibe to scare away the mundanes" going on for it. Maybe I'll get it....after I read the reviews, first. Maybe. Or I could wait until they have a sale or two. Battlefield 4: this one buried the hatchet on the franchise for me completely. I loathe this franchise now, and will not even bother with Battlefield: Hardline or whatever nonsense they plan to produce next. Short reason is the single player campaign was unpleasant, too linear, and just plain old "not fun." The multiplayer was conceivably more interesting but also required a greater degree of investment to become good at, which means time, which I have in too short of supply for this game. 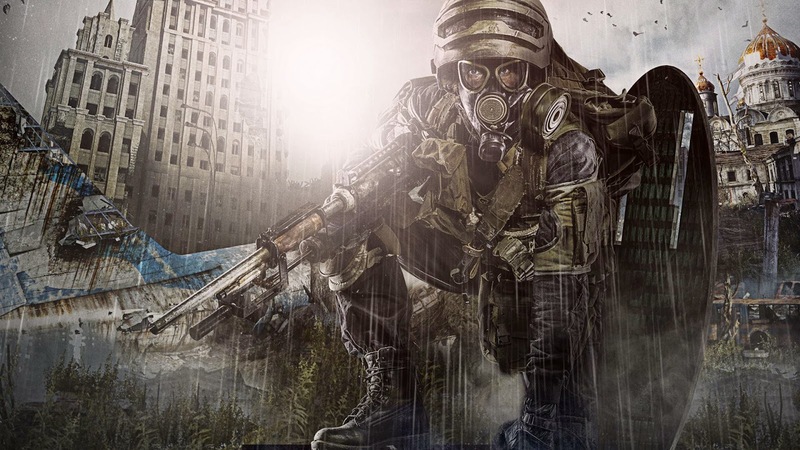 Metro: Redux: this is actually a fantastic game, and if you somehow didn't play it previously the Redux edition is a good starting point. It's fairly linear, but the game makes up for that problem in so many other ways, including numerous realistic touches, a seriously well developed story line and more atmosphere than you can shake a gas mask at. Play it to experience Fallout Russia style. In Russia game play you! *In Peter Dinklage's defense I think his voice over as the Ghost is fine, but he has two problems: they don't really give the protagonist enough (almost any) dialogue, and it's impossible to avoid comparing the Ghost to Cortana...and Cortana will always win. Always. **Contrast with games like Last of Us or Shadow of Mordor where you can feel your very soul gripped by the plight of the characters. ***Don't get me wrong, this is a game about "future" Nazis in the sixties with giant robots and all that, but I'll be honest, I never finished any Wolfenstein previous to this one, so it comes as no surprise that the series' alternate history post-WWII setting just doesn't do it for me, anyway. 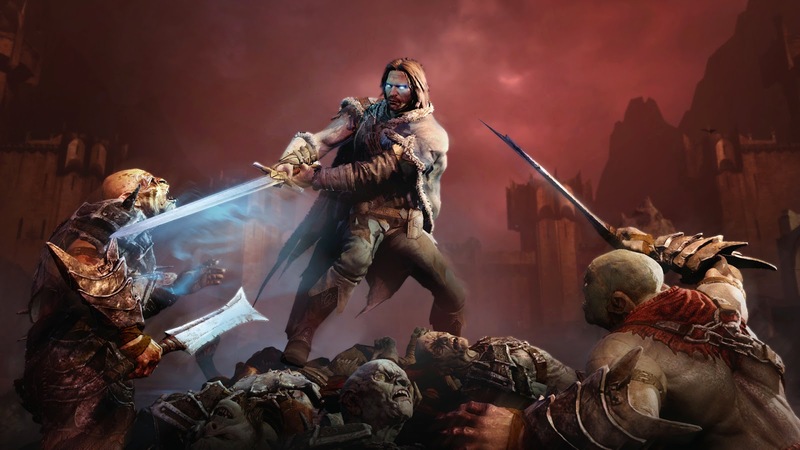 At it's core Shadow of Mordor is "fantasy Assassin's Creed." Given how well it was done though this little derivation can be forgiven. If anything, think of the Assassin's Creed style of game as it's own special subgenre. 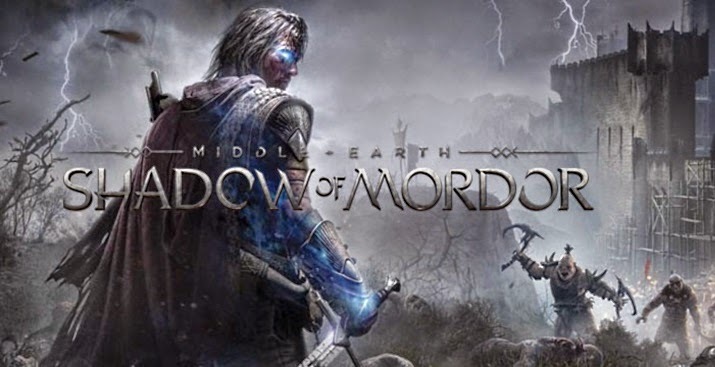 It just so happens that a tale about a wraith-possessed ranger fighting the good fight against the hordes of Mordor fits the AC style of game very, very well. The style and approach to the game is more "movie" and less "other." It is also very polished, so if you've been gunshy about LotR derived properties through bad experiences (like me) then be assured this game exceeds expectations and sets the bar for the future very high. The lore so far is specific to this storyline and seems to be well-contained. I haven't played far enough to tell you if they deviate anywhere however, nor am I the definitive Middle-Earth expert though I'm certainly no lightweight in that regard, either. The nemesis system the game employs in which you encounter various orc captains (and other creatures? I don't know) works really well and is one of many distinct touches. The game does something extremely right in this regard that the last few AC games haven't: it really makes you want to find all the side missions and extra stuff. There's something interesting about every item you can locate on the map. As always I'm playing this on the PS4....the PC specs looked a bit concerning for my aging rig. Lord Orgain celebrates after capturing the demi-plane of the vampire lord Savagan. Stondar and his allies avoid a cluster of modrons maddened by an incursion from the Far Realm. Darton Kane strike a guardian animate before it can evoke an elemental weapon. Helian Emperor Hanempo marches northward to conquer Sabiri. The Bastion of the damned where the vile Thousandspawn Kolmaggus the Deathsworn dwells at the edge of the world. 12. 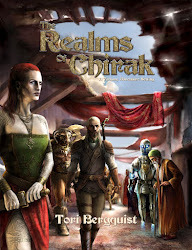 When I bought Tarantis by Judge's Guild in 1983 it was probably a newly released copy....as a kid I assumed all Judge's Guild stuff dated to the 70's due to its poor production quality. Likewise, when I bought the Jungle of Lost Souls in 1984 it had only been out a year (and Jungle of Lost Souls is one of the BEST non Flying Buffalo solos ever made, btw, and was inspiration for me to write my own epic solo in the form of Aberdan's Folly). 11. 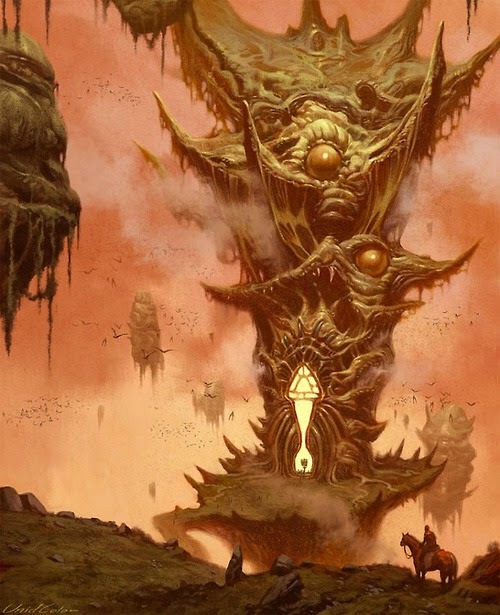 There are at least three different versions of the Wilderlands of High Fantasy/City State of the Invincible Overlord setting out there, more if you count each revision as its own iteration (i.e. Mayfair and Necromancer Games). Plus, this was apparently the first coherent D&D setting published, and the second setting ever formally released outside of Empire of the Petal Throne. 10. And it still amazes me that Empire of the Petal Throne was second out the gate, given how we went from "D&D budding off of wargames" to "anthropological/cultural treatise of an elaborate alien world" in literally two steps. My original edition of EPT remains one of my greatest treasures ever. 9. I did not know that Judge's Guild's initial agreement with TSR was basically a spit and a handshake. 8. I did not know that Marc Miller and co. were working on "roleplay" sims on the computer before 1974 (in the form of political sims and such). 7. I did not know that Chaosium's very first RPG product was All the World's Monsters. I had those, but thought the series was a side project to Chaosium's cooler stuff. Nope. 6. Although I knew Lorraine Williams was the spawn of the devil for many reasons, I did not realize her family's ties to the Buck Rogers property was feeding earning from the title through TSR's publications back to them, and that was the reason all those Buck Rogers titles were pushed so hard in the early nineties no matter how much crap they were. Makes me wonder what sort of perk they got for donating so many copies to Desert Storm troops at that time. 5. At one point Judge's Guild could afford to keep 42 employees on staff. WTF at one point Judge's Guild was almost as big as Paizo is today. Wow. 4. I did not know Megatraveller had been outsourced for its design. 3. I also didn't know that if it wasn't for the fortuitous timing of Desert Storm and a book GDW released on the matter in 1991 they would have likely closed up shop. 2. I did not know that Monsters! Monsters! was Metagaming's first RPG product. 1. Even back in 1985 although I had heard much about how Flying Buffalo and T&T were on the rocks, no one ever explained to me (at the young and impressionable age of 14) why that was. I now know that it was over a publisher issue spurred by some hefty theft on the part of the new owner of the print shop. Yikes! It's weird to learn something in 2014 that helps bring clarity to all the second hand info I picked up as a kid in 1985-1987 without really being sure what all the fuss was about (and being too young --and polite at the time-- to ask the right questions).